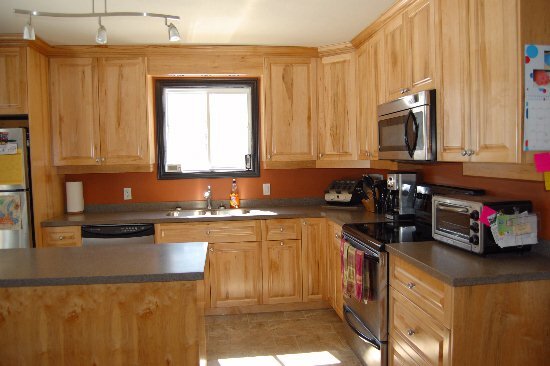 This custom kitchen has a natural flare and is a little on the wild side. 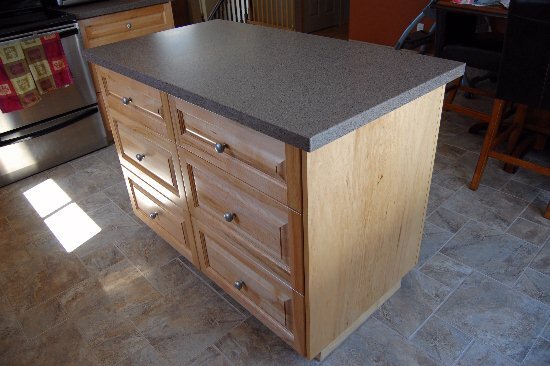 With the natural minerals and grain of wood, nothing is uniform and not one piece is the same as the other. 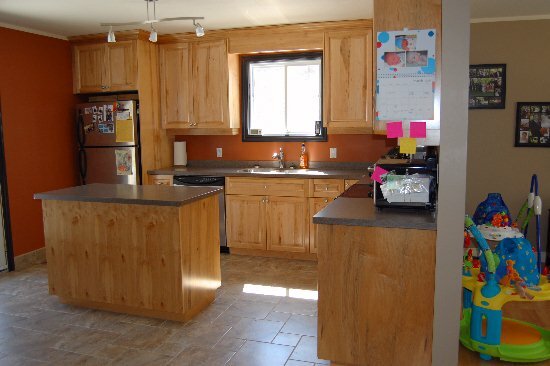 With raised panel doors in this rustic kitchen you see all the imperfections of the natural wood. 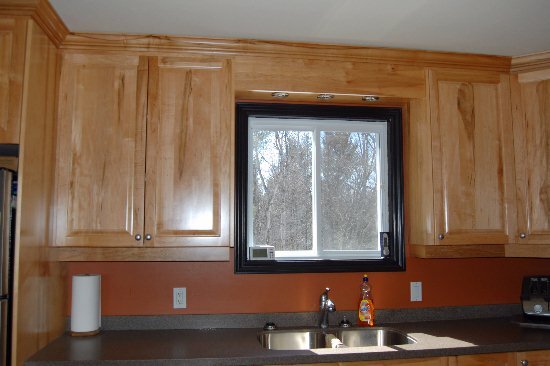 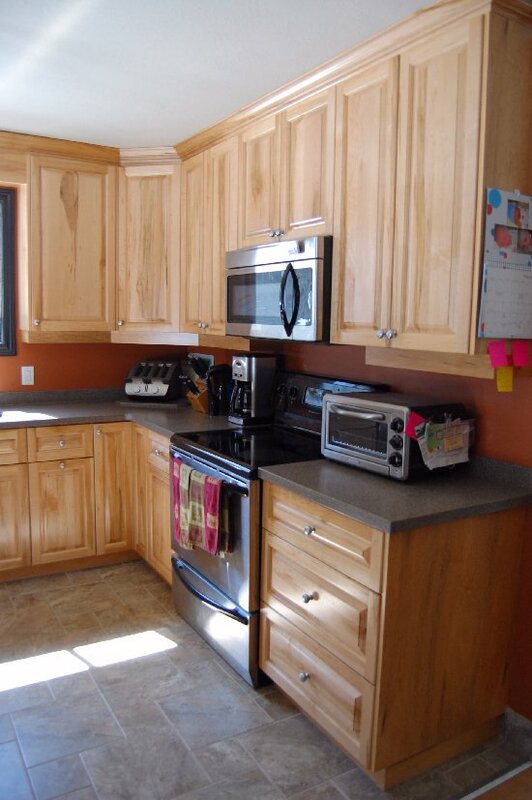 The cabinets were built to the ceiling to maximize storage space. 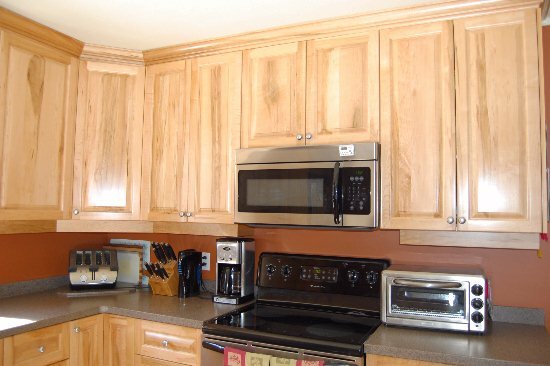 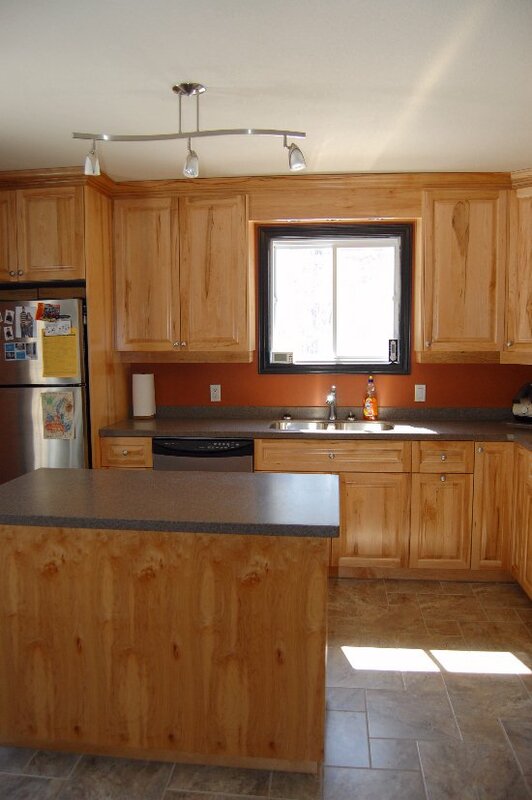 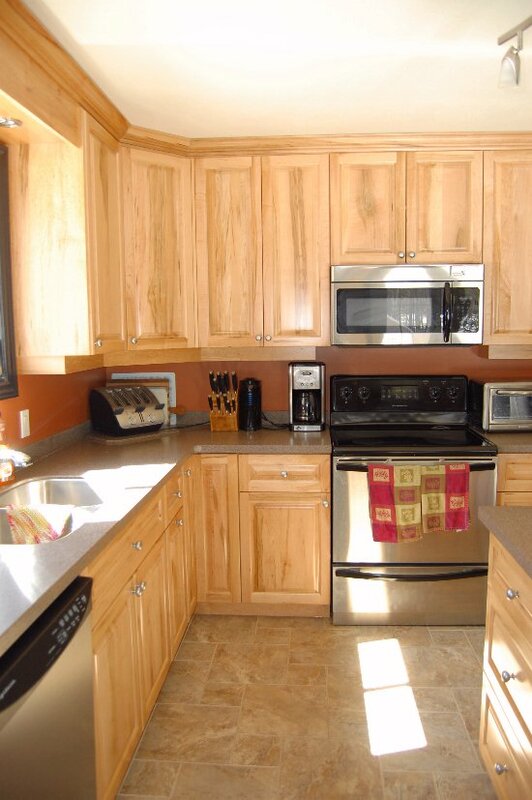 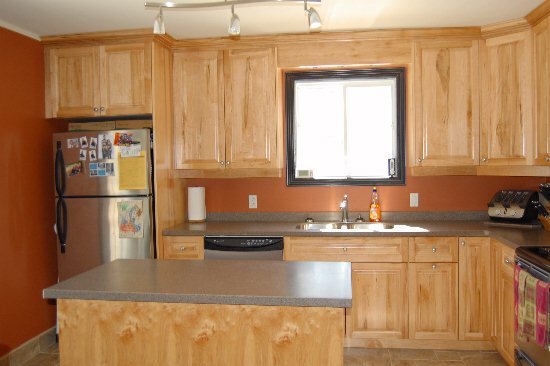 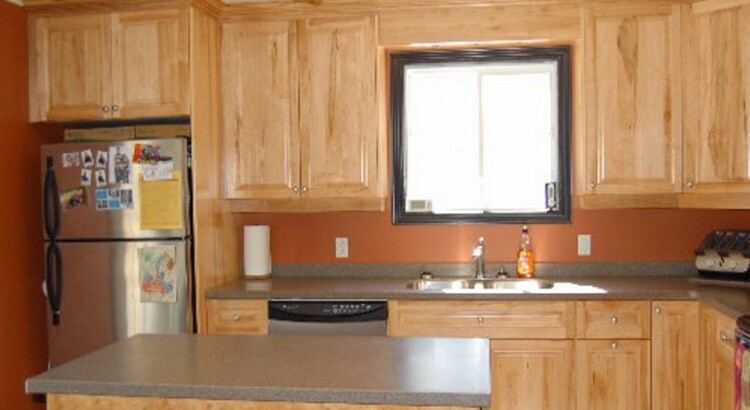 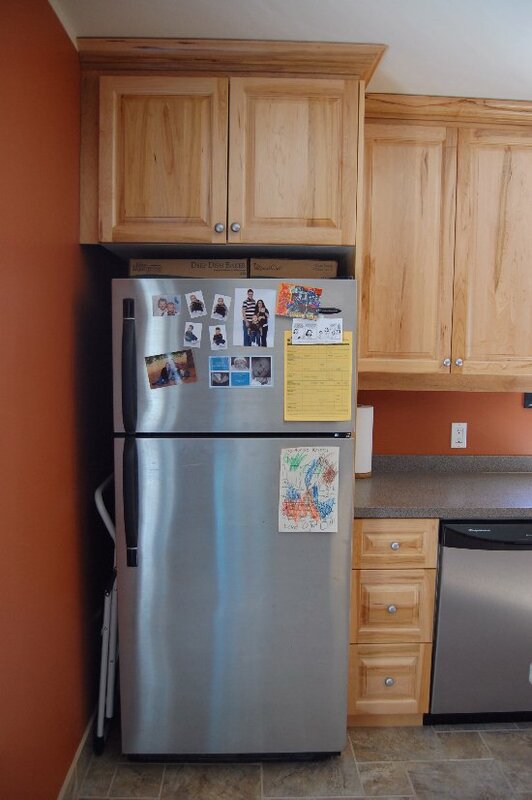 The laminate counter tops make this kitchen easy cleaning for the busy life style.